Since introducing the iPad into our home we are always searching for the coolest apps out there. My husband likes the games, our son, Shaunsito likes anything interactive, and I tend to like my books. Luckily the apps reviewed below truly reflect our “likes” as a family. Hope you and your family enjoy them too! Summary: Ever wonder how most superheroes learned math and spelling? Probably because they went to Captain Majestic Memorial School, an elementary school for superheroes! This year, an ordinary kid – Rooney – shows up at school and can’t do anything super. Somehow Rooney shows everybody what it takes to be really brave. Review: I immediately fell in love with this interactive book for many reasons. It is a unique story told in an amusing way for kids, my son kept finding hidden interactive gems in it, the illustrations are really beautiful and crazy as it may sound but little Rooney looks like what I would imagine Shaunsito looking like in a few years. Made me want to customize Rooney with my son’s dimpled cheeks and chin! I have always been a book nerd and had a hard time when books became available on Itunes. I saw some books lose the quality of the illustrations but this book POPS with color and fun. And the story of “fitting in” is a message that my husband and I have already started speaking to our son about because of the potential challenges he may face in school from being part of a multicultural family and from just being a kid. I’m so glad this book came our way and look forward to when our son fully understands the importance of being kind and accepting of all others. Definitely a must-have for your kids book collection! Summary: Save the adorable Eeep family from the torment of the dangerous goop. Tumble them across four beautifully designed worlds to help them make it back home goop free. 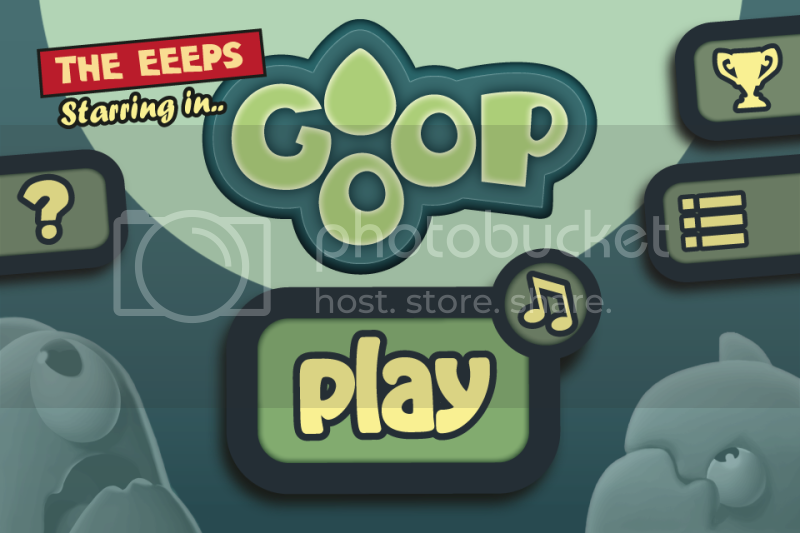 While saving the Eeeps, keep in mind their unique personalities which can make getting them across goop free a bit of a task. Review: I thought this app was cute and when my hubby and son are occupied together that’s ALWAYS a good thing! However, I would really like to see them add some extra Eeps before you have to start all over again once I get gooped. Maybe if there was a “3 Goops you’re out” rule or if you get gooped you lose some Eep energy. Since I’m not always that proficient in these games it tends to take me a little longer to figure them out and it is frustrating when I have to start at square one all the time. Overall, I have to say for the money it’s a good time for the kiddies so check it out! Summary: This storybook app includes more than 70 screens of story, video and activities designed to keep attention of young children as they are taught basic learning skills such as letter recognition, picture/word association, word recognition, basic problem solving and reading comprehension. 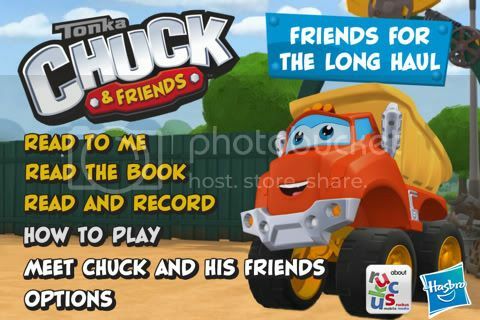 The app takes young readers on a rollicking ride with their favorite characters, CHUCK the dump truck, and the gang as they learn about honesty, friendship and teamwork. Review: The minute Shaunsito spotted me downloading this app all I heard were squeals of delight! Though my son is slightly biased because he adores Chuck, I did made sure to check out the app to see how he would be able to navigate through it and he did just fine. Again, this app is meant for children 4+ but I found it to be a perfect addition to my “slow down” time with my son. We’d sit, have story time, record our voices telling the story – this function had us laughing so hard because I would read the story in funny voices and my son would add noises – and then play the interactive games. We both really had fun with it! There is also a Lite version of it if you want to just check it out. I have to say that I was impressed with it because many Lite versions we have tried out before have fallen short of our expectations. Please note that the app is typically $3.99 – well worth the money for hours of entertainment – but right now, until Labor Day, it is only $0.99 so you may want to head over and purchase it at this amazing Back-to-School price. Actually Ruckus Media – the global children’s digital media company behind the app – is offering ALL of their apps in their digital library at the $0.99 Back-to-School price until Labor Day! You can go here to see all their full listing of apps. Purchase Here at Back-to School Sale Price. « HP Takes You Back to School, In(tel) Style! I got an iPad2 this May and my son is addicted to it. We’re always on the lookout for new apps. Thanks for the heads up! My son has Down Syndrome. This could be his story He’s my brave hero as he goes to school with typically developing kids and teaches them lessons everyday. I teach kindergarten. I think they would love Brave Rooney (as well as the others!). I love technology!! I think she’d like “Chuck & Friends: Friends for the Long Haul” best because she loves trucks and cars. Awesome giveaway, my kids would love these apps! 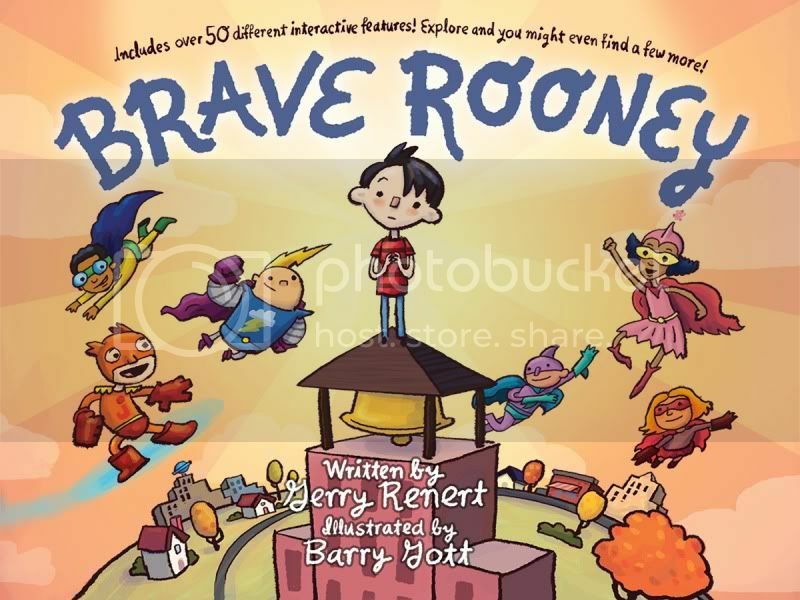 My kids would love the Brave Rooney app…it sounds like something they would like.